Okay, now I admit that you’re a quite solid player since you have made it in completing the quests until this far. 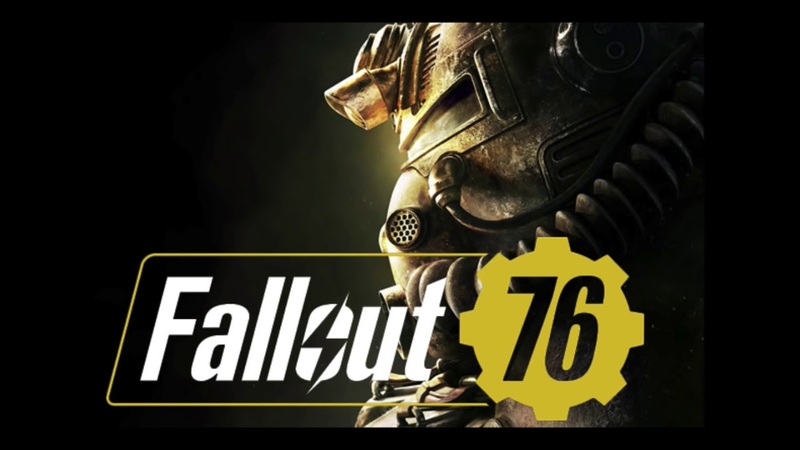 Still, there are many things to explore in Fallout 76, along with the thrilling battles you need to face in a quest we’re about to complete now, An Ounce of Prevention. 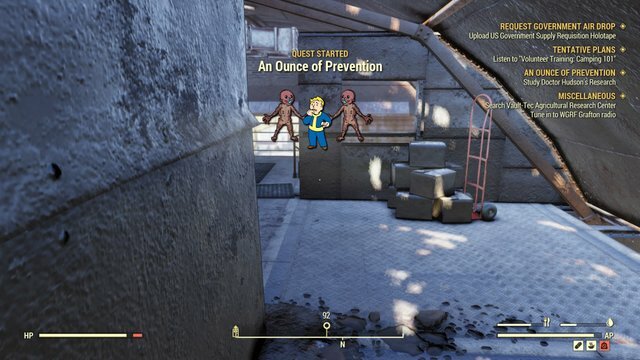 An Ounce of Prevention quest will automatically start once you have completed the previous quest, Final Departure. The first step is, you need to go to “Study Doctor Hudson’s Research” which located in the AVR Medical Center far to the south of Flatwoods. You can find the AMV Medical Center right near the city of Charleston. It’s just a few steps northeast of the Charleston Fire Department. Head inside, and prepare yourself to do battle with a large number of Scorched Wanderers. 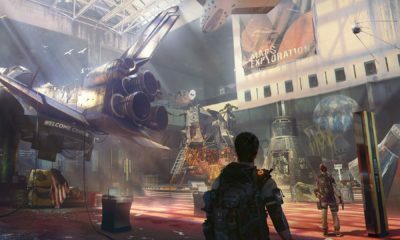 They come equipped with all kinds of melee weapons and firearms, so clear out as many as you can before explore the building. 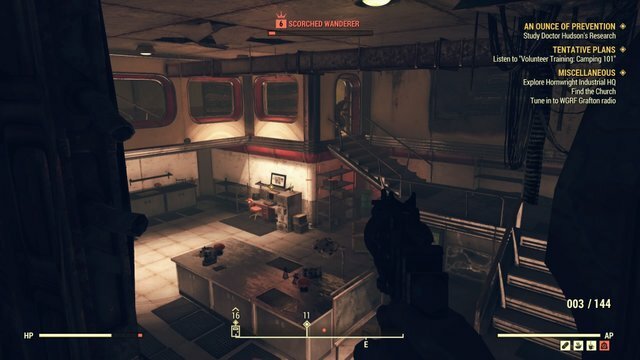 Kill the elite Scorched Wanderer inside, if you collected a lot of loot and junk in the medical center you can use the Chemistry table in this room to break them down. When you are ready, head to the AVR Medical Laboratory Terminal and read about the Inoculation Project. 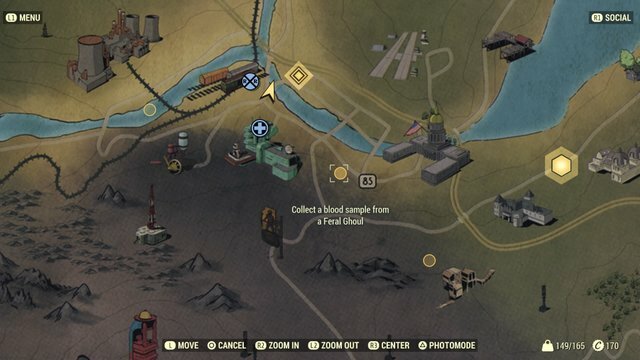 This will unlock a new set of objectives, in which you must obtain a blood sample from a Feral Ghoul, Molerat, and Wolf, as well as obtain a T-Type Fuse. 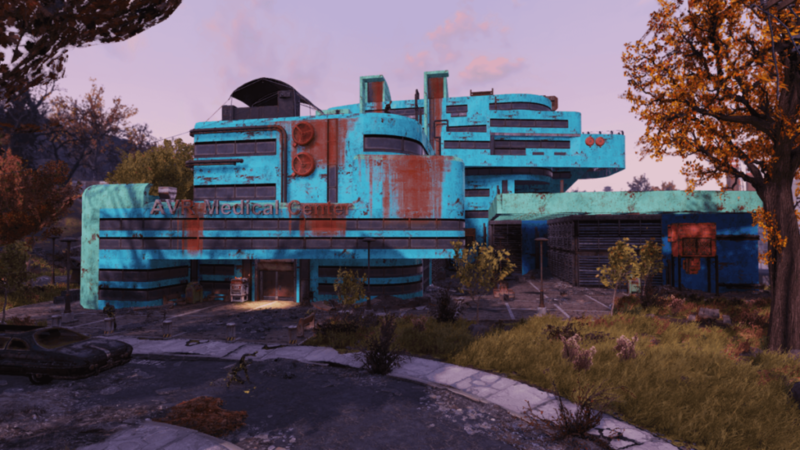 Head out of the AVR Medical Center and open your mini map. 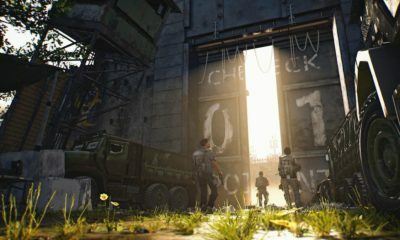 You will see three small circles indicating where you can find the required enemies. When you defeat them, walk up and press “collect blood sample”. 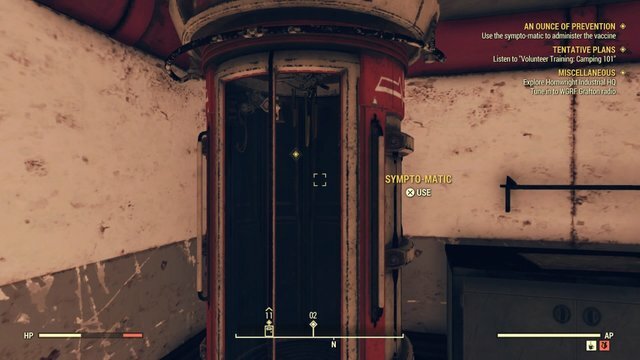 To get the T-Type Fuse, you will have to head back north to a location called Greg’s Mine Supply. 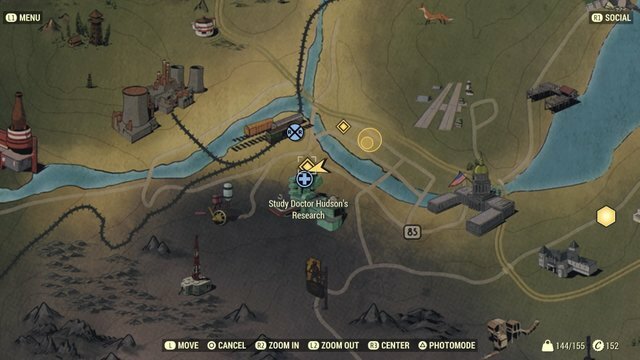 This location is northeast of Flatwoods, use your Overseer’s Camp, craft whatever supplies you need, then head to the east toward the quest marker. Once you reached Greg’s Mine Supply you will discover the front door is locked. 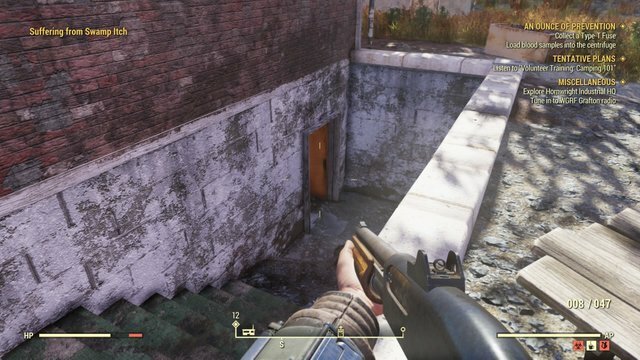 Head around back and enter the basement through the back door. Now you need to battle your way through some Scorched Wanderers and into the mine shaft underneath the building. 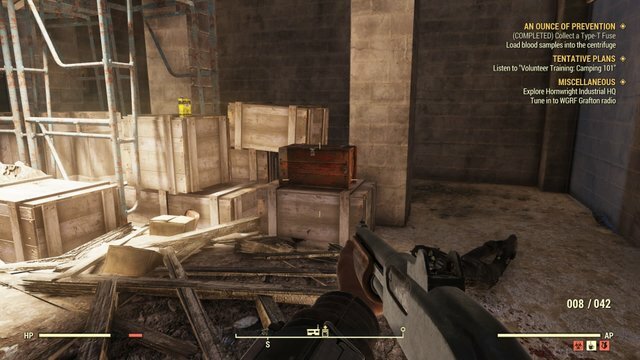 Follow the trail and you will find the objective: a small toolbox with the T-Type Fuse inside it. 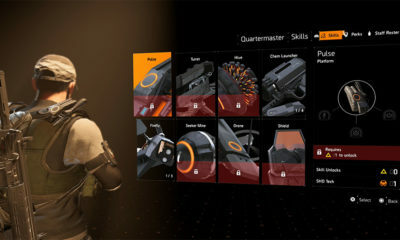 Grab the fuse, then head into the store and look around for loot. The keys are on the second floor, along with a safe. Once you’re done with looting, head back into the basement lab. Now place the T-Type Fuse in the fuse box to the right of the terminal, then place the blood sample in the machine on the table to the left. 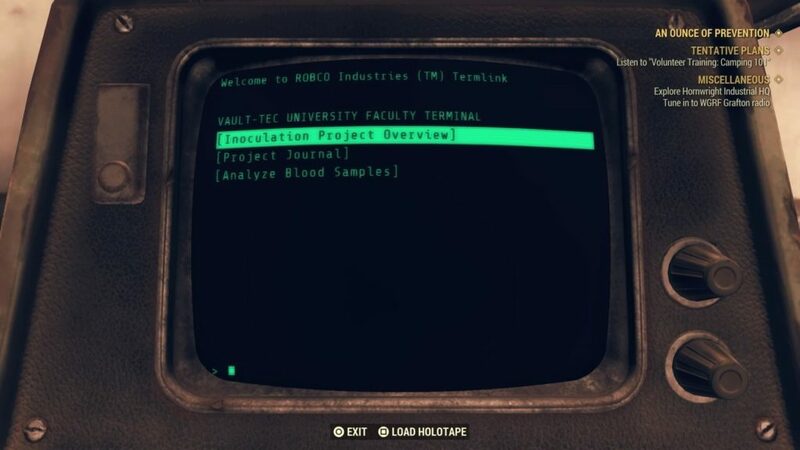 Interact with the terminal and select “Analyze Blood Samples” to progress the quest, then walk over and use the Sympo-Matic to inoculate yourself. Have you done with inoculating yourself? Well, that means you have completed the quest, great job! If you’re ready, Into The Fire is our next quest to be completed.